This wonderful tantalus was made during the Art Deco period in France and is possibly by Jacques Adnet. The chrome frame has an oblong chrome base with flat chrome arms that hold the cylindrical chrome carrying arm in place. 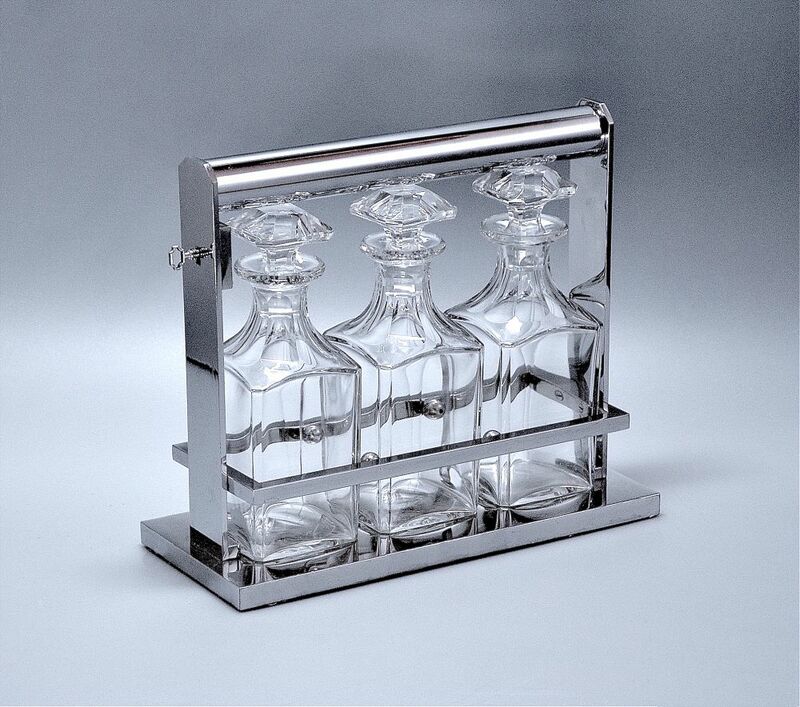 The three cut glass square decanters are held in place by a chrome box rail compartment that is delineated into three by chrome balls. The tantalus has a key that enables the cylindrical carrying arm to roll upwards to release the decanters.